It’s no secret. We love our horses. Surrounded by rolling bluegrass hills, fence-lined pastureland, Thoroughbred racing’s greatest champions and one-of-a-kind equine experiences, Lexington is the indisputable Horse Capital of the World. And our reputation isn’t just hype—it’s truth. The numbers don’t lie: 320,000 horses in the state (that’s one horse for every twelve people) more than 450 horse farms surrounding downtown Lexington, nearly 8,000 Thoroughbreds registered per year and the biggest names from racing’s storied past make up our unrivaled equestrian legacy. But beyond that, it’s the kind of place where the horse is ingrained in every part of our culture. It’s tough to walk ten steps in Lexington without encountering something horse-related, whether it be a mural, a street named after a famous Thoroughbred, a park dedicated to the industry or a larger-than-life horse statue. We can’t help it, it’s in our blood. And we’ll bet good money you won’t find another place like it in the world. Left: Get up close and personal with four legged celebrities on a horse farm tour. Right: Catch Thoroughbreds during their morning workout at Keeneland Sunrise Trackside. It’s no accident that the Thoroughbred industry put down roots here centuries ago. 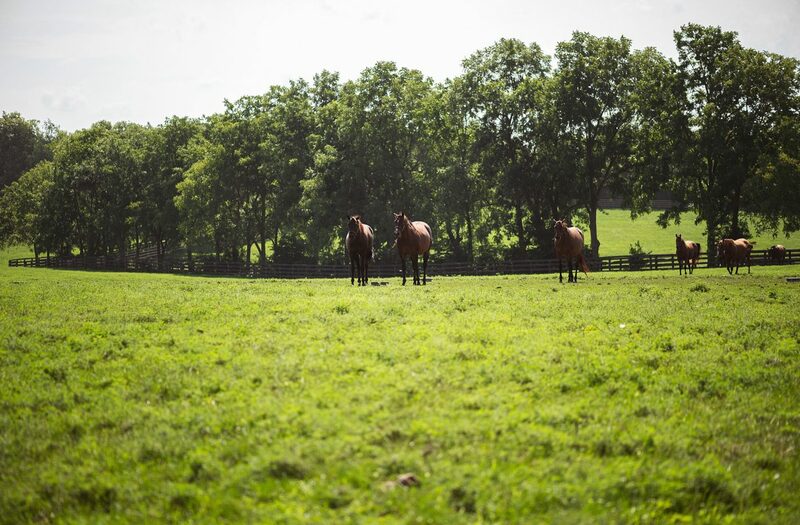 The same nutrient-rich, limestone-filtered water that helps produce our award-winning bourbon also enriches our soil, nourishing our Thoroughbreds to grow up strong so they can one day become household names. The vast majority of the world’s trained horses are Kentucky-bred, accounting for nearly 80% of Kentucky Derby winners, 75% of Breeder’s Cup Winners and nine of the 12 winners of the Triple Crown. Most of history’s iconic racehorses were bred here, born here, raised here, raced here and retired here. We’re the center of the breeding universe and home to the world’s greatest stud farms, where legendary stallions are treated like kings. 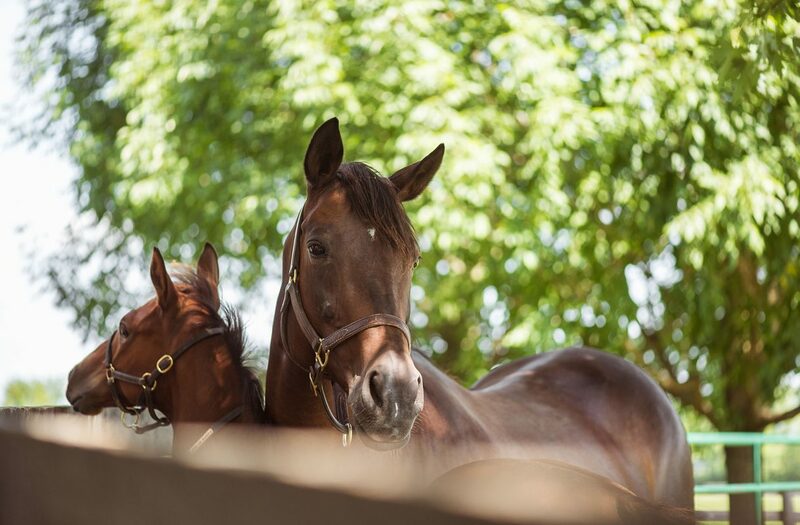 You can visit several retired racehorse champions on a horse farm tour at one of many famous stud farms, nurseries, clinics and more. View our full list of Horse Country hotspots and check out Horse Country’s official site to discover which horse farms are offering tours. If you’re ever lucky enough to fly into Lexington, take our advice and book a window seat. The airport approach offers one of the most magnificent views of Bluegrass farmland in the country. It’s comparable to an idyllic Irish countryside—but instead of tufts of sheep, you’ll get an aerial shot of grazing Thoroughbreds on some of the most famous horse farms in the world. The picturesque beauty of this area also provides the country’s most gorgeous, relaxing and scenic drives, with miles upon miles of black and white fences lining winding roads and manicured farms. You can drive in any direction and be surrounded by breathtaking scenery within minutes. Left: Sip on a signature Keeneland Breeze cocktail while enjoying an afternoon at Keeneland. Right: Make your picks and enjoy the thrills of a Keeneland Spring or Fall race meet. Pulsating crowds. Pounding hooves. The thrill of a winning bet. There’s nothing quite like the excitement of live horse racing. And the hands-down best place to experience it is right here in Horse Country. 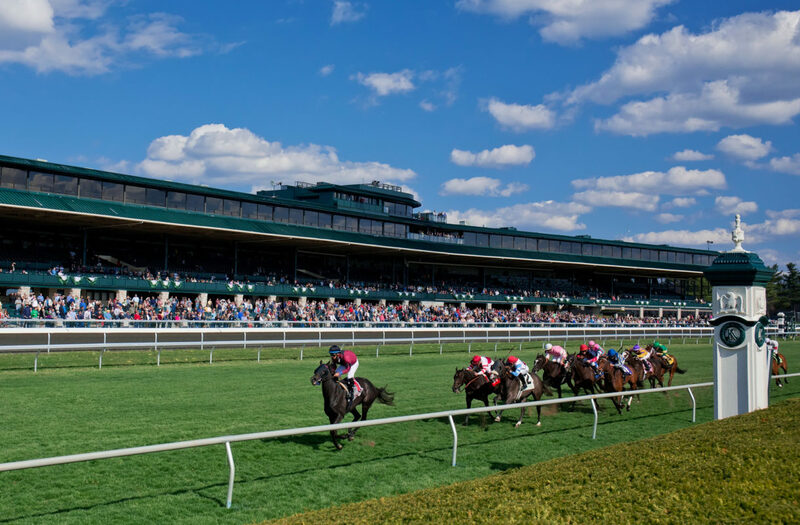 A race meet at the iconic Keeneland Race Course has an energy unlike anything you’ve ever experienced. Arguably the most beautiful course in the world, it’s just minutes from downtown Lexington. Keeneland is most alive during its race meets in April and October, but you can explore the grounds of this National Historic Landmark and learn about its rich history year-round. Lexington is also home to the second oldest harness racing track in the world, Red Mile, where you can enjoy exciting live harness race meets throughout the year or simulcast wager on races all over the world. And if you’re feeling particularly lucky, you can wager on any of their Instant Racing machines. Left:The renowned Rolex 3-day event showcases the best equestrians from around the world. Right:See all breeds of horse at the famous Kentucky Horse Park. Our horse industry knowledge is not limited to the Thoroughbred. The 1,200-acre Kentucky Horse Park, dedicated to all breeds of horse, attracts nearly a million visitors per year. Nowhere else in the world can you see so many breeds in one place, plus it’s home to the Smithsonian-affiliated International Museum of the Horse which delves into the 50-million-year history of these magnificent animals, and the American Saddlebred Museum. The Kentucky Horse Park also hosts word-renowned events on its grounds, such as the National Horse Show, the Rolex 3-day event, acclaimed Hunter/Jumper shows and much, much more. View tomorrow’s champions at the Thoroughbred Center, a training center for Thoroughbreds that launches the careers of famous racehorses. The center houses around 1,000 horses at any given time and offers the opportunity to tour the facilities. Stop in and meet future champions so you can say you knew them before they made it big. You can also visit past legends and learn about their successful careers at Old Friends Farm, a retirement home for Thoroughbreds, which includes the 1997 Kentucky Derby winner, Silver Charm. There isn’t another place on Earth that can lay claim to the horse like Lexington can. Our equestrian roots run deep and will continue to be part of our past, present and future for centuries to come. 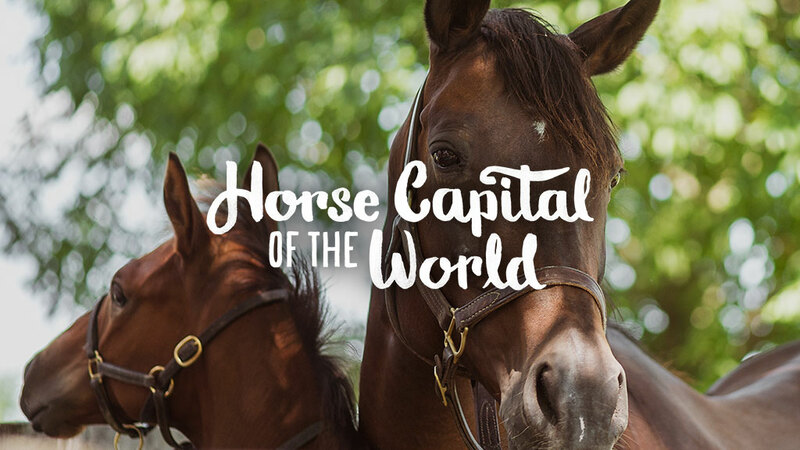 We invite you to come experience the Horse Capital of the World for yourself and get to know the beauty and charm that can only be found right here in Lexington.